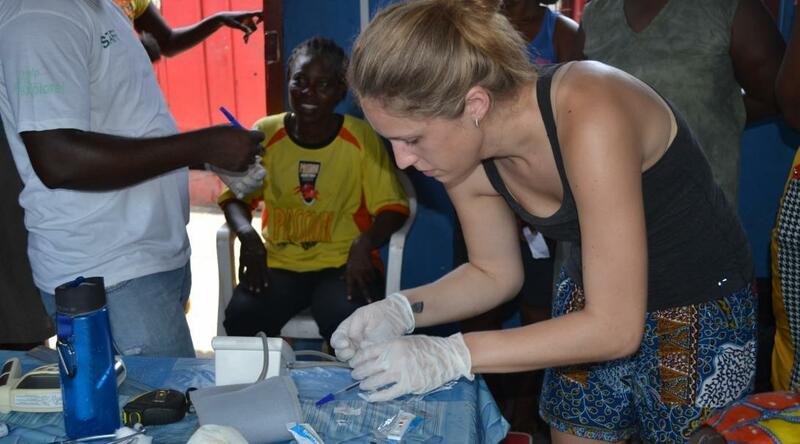 Join our Public Health internship in Ghana and get involved in hands-on medical work that benefits the local community. It’s a learning experience that gives you a deeper insight into the healthcare challenges people face in developing countries. Ghana faces a double burden of disease. These include infectious diseases such as malaria, as well as those resulting from lifestyle changes, like diabetes. Furthermore, many people living in rural, disadvantaged areas do not have regular access to medical services. 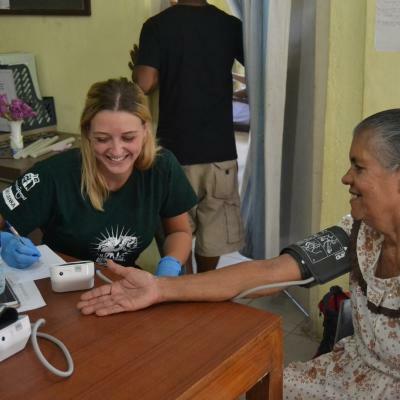 You’ll help us provide these communities with free health screenings and basic healthcare services. 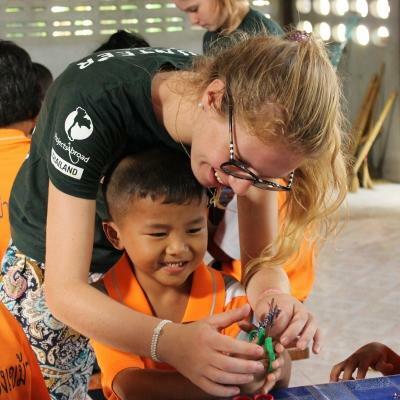 You’ll do this by joining medical outreaches, as well as visit schools to raise awareness around healthcare issues. 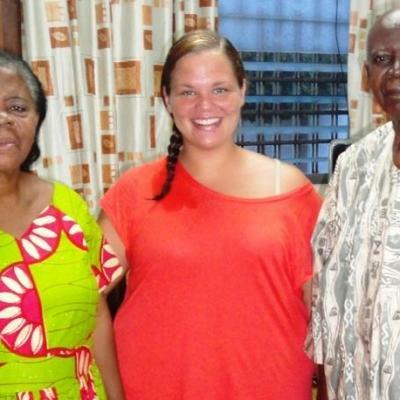 You’ll live and work in a more rural area of Ghana, and stay with a local host family. You’ll have an exciting and memorable time as you learn and explore the culture and cuisine. Is a Public Health internship in Ghana right for me? This internship is open to everyone who is interested in getting involved with community health. You’ll be part of our long-term, sustainable healthcare goals and contribute to our Global Impact Database. Our Public Health internships are ideal for those considering a career in the healthcare field. It’s also great for medical students interested in getting more practical experience. You can use the experience to add hands-on work experience to your resume, and give yourself an edge on applications and during interviews. For those of you without medical experience, you can still join this project. This is because you will have a dedicated supervisor for the duration of your internship, and receive a thorough induction upon arrival. 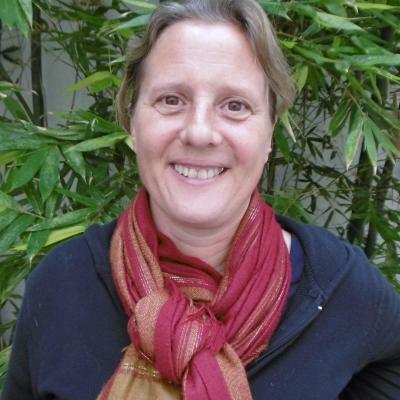 You’ll also work under supervision on outreaches. This internship is available year-round, and you can join from one week onwards. Our start and end dates are flexible, so you can choose what suits you best. 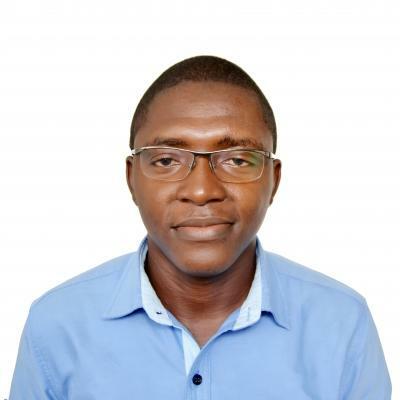 What will I do at my Public Health placement in Ghana? Our outreaches provide vital medical treatment to people in rural communities who would otherwise not have access to healthcare. Working alongside local staff, you’ll treat wounds and ringworm to prevent infections. You will also test suspected cases of malaria or Hepatitis B, and refer patients on for further treatment when necessary. Non-communicable diseases such as hypertension and diabetes are on the rise in Ghana due to lifestyle and diet changes. It is important to screen for these illnesses by taking measurements and testing vital signs such as blood pressure levels in order to detect undiagnosed cases. The supervising nurse or doctor will then provide referrals if the patients need further intervention. At child welfare clinics, you’ll weigh and measure infants as part of their health screenings. Here you will work alongside the local public health department staff. You will also provide advice to parents in terms of maternal and child nutrition, to promote the healthy development of children in rural areas. Educating the local community about key healthcare issues is an important part of your internship. Promoting awareness is the best way to ensure the prevention of avoidable diseases. You will give presentations at local schools or community centers. These talks will focus on the importance of healthier lifestyle choices such as exercise and an improved diet as a means of preventing non-communicable diseases. You’ll also demonstrate good hygiene practices to prevent the spread of infectious diseases such as cholera. Malaria is also a big problem in Ghana, so people need to be aware of prevention methods and the importance of early treatment. Where in Ghana will I work? 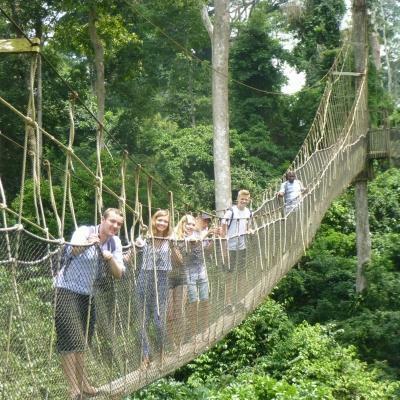 Your public health placement in Ghana is based in the town of Dodowa, which is located on the outskirts of the capital Accra. Our public health outreaches take place in schools, churches, care centers, and community centers in the surrounding villages. Dodowa is a quiet suburban area, which gives you the opportunity to relax and get to know the neighbors. It is located around 22 miles from Accra, so it’s not too far to travel if you’d like to spend time in the capital, as long as you avoid rush hour. Here you can explore numerous museums, monuments, restaurants, and markets. Dodowa is also within easy distance of the Akuapem Hills. This lush green area offers plenty of hiking opportunities, along with beautiful waterfalls. The Volta Region is also worth a visit, boasting extraordinary scenery, historical colonial forts, and some of the best beaches in the country. On this internship, you will usually work from Monday to Friday, with weekends off to travel and relax. Your working hours will typically be from 8am - 2pm. However, the finishing time may depend on the activities of the day. 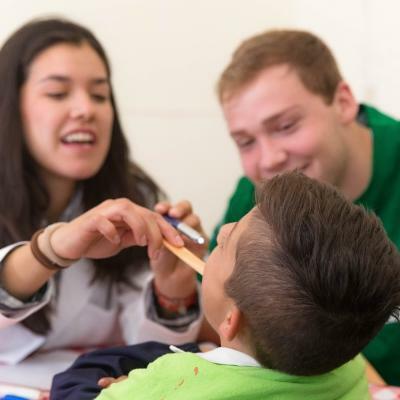 In the morning, you will go on medical outreaches to surrounding villages, which take place in schools, care centers, community centers, and churches. Here you will get involved in everything from general medical screenings, to wound cleaning and treatment of ringworm. Education and awareness of medical issues is also an important part of this project. You can expect to present educational talks about first aid, or demonstrate hygiene best practices at a local school. We recommend using your time in the afternoons to prepare presentations and education materials. You will also work on uploading information about the outreach to our Global Impact Database. 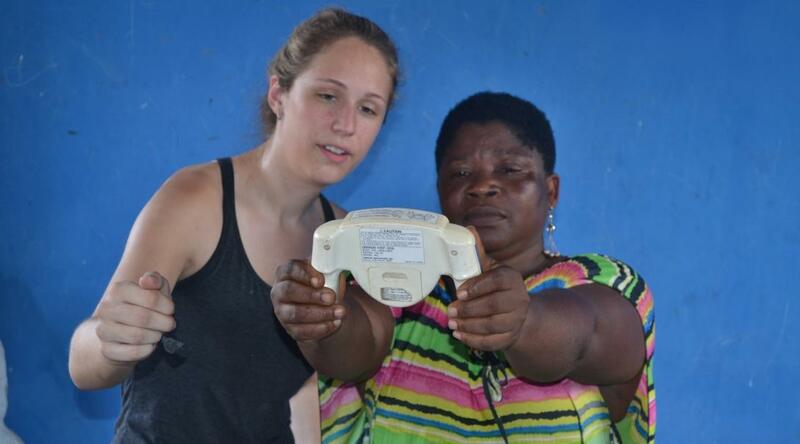 This helps to keep track of progress, monitor the status of communities, and follow-up on patients. At the end of the day, spend some time getting to know your host family over a delicious dinner. Share your experiences with fellow interns, making new friends at a local bar or restaurant. 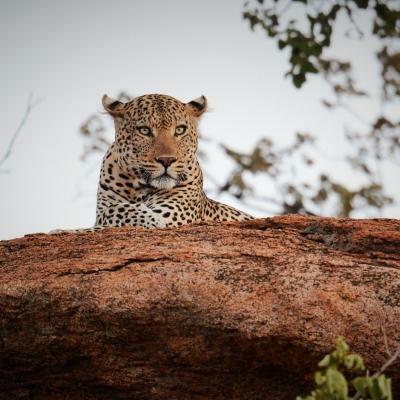 Travel to the capital if you’re in the mood for a more cosmopolitan setting, or explore the natural wonders that Ghana has to offer. 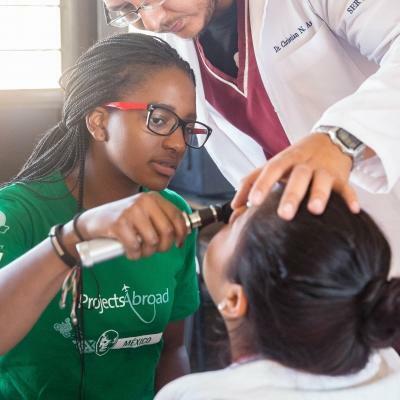 There are two aims of this project: to provide basic yet vital healthcare services to those in disadvantaged communities, and to help you develop your skills. You’ll learn from local medical professionals and find out how to treat various medical ailments in a more rural setting. It’s also the perfect time to gain invaluable public health work experience while you’re interning in Ghana. What’s more, you will help to improve access to basic healthcare for disadvantaged groups of people. Many of those who are poor or live in rural areas cannot afford obtain medical services. Interns provide much-needed screenings, minor treatment and referrals, under the supervision of local medical staff. There are a number of healthcare issues in Ghana. Malaria remains a leading cause of death, and non-communicable diseases like diabetes and hypertension are on the rise. We are focusing on preventing these diseases by raising awareness of the causes and the importance of treatment. 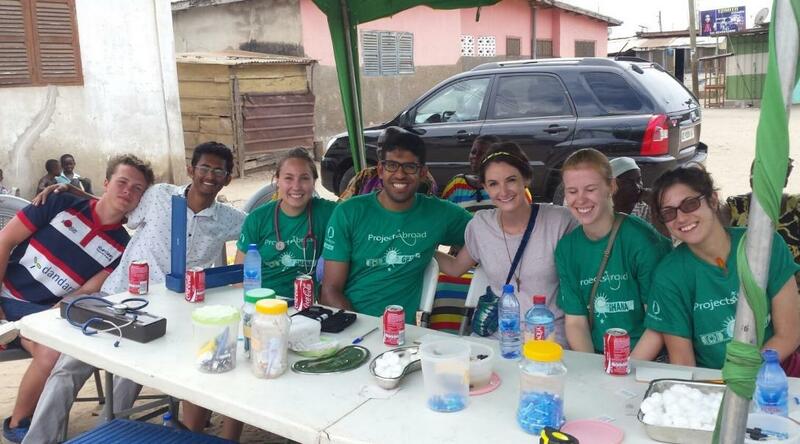 Join us in Ghana for a well-rounded medical experience where you’ll work to provide vital care to vulnerable people.